Rebecca is a PhD student in the Saunders lab working on one of the three wheat rust pathogens. Rebecca works on brown rust, which despite being the most common wheat rust has been studied less than the other wheat rusts. She is hoping to take an in-depth look at the UK and European population of brown rust, in order to see if there have been changes in the brown rust population, as we’ve seen in yellow rust in recent years. 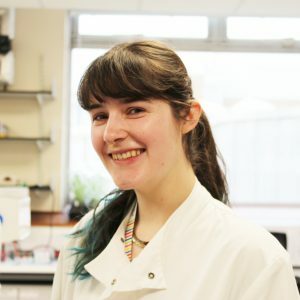 Using a combination of RNA-sequencing techniques developed in the Saunders lab (Field Pathogenomics) and genome sequencing, Rebecca aims to explore the diversity of European brown rust and contribute to our understanding of this understudied crop pathogen.